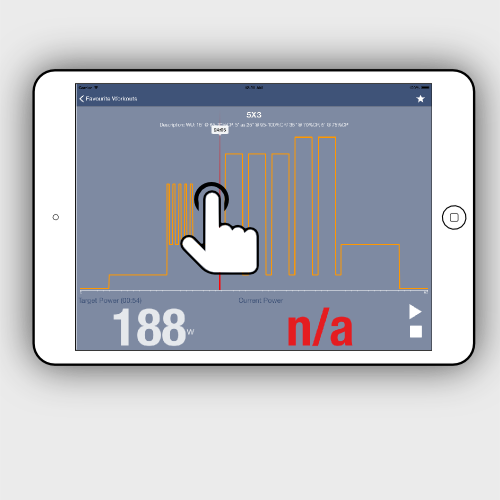 Hurts Ergo is a lightweight app for getting the most out of your KICKR Trainer. No subscriptions, no signup, no training plans. We've teamed up with ErgDB to provide access to over 600 unique workouts, each workout is scaled to meet your performance requirements. Hurts Ergo. 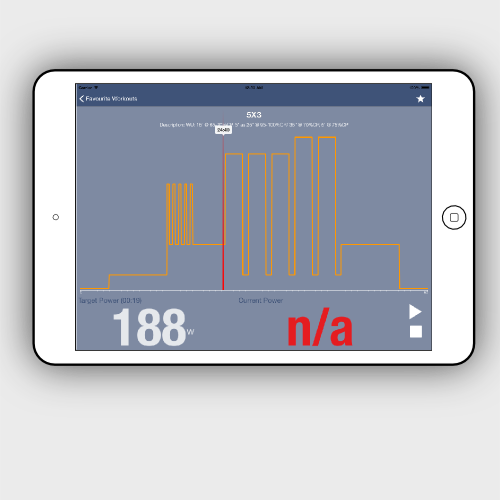 Power based interval training for your iPhone and iPad. Structured interval training is key to generating significant improvements in your cycling performance. Hurts Ergo offers a series of basic workouts to get going on your indoor trainer, once mastered there's access to the online ErgDB library containing over 600 unique workouts. 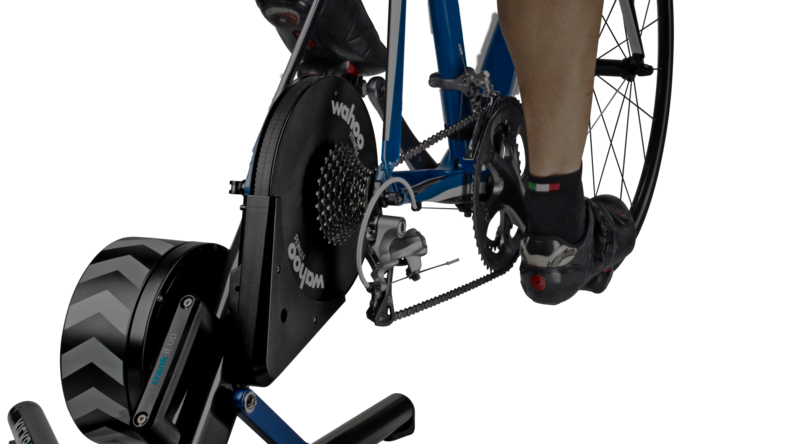 ErgDB, created by 73 Summits, provides a place for users to create and share PowerAgent and Erg bicycle training workouts. 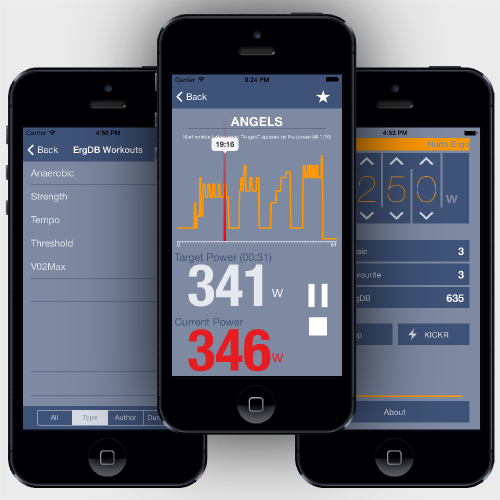 Workouts use a percentage of FTP as watts, allowing users to use their own FTP when generating workouts. 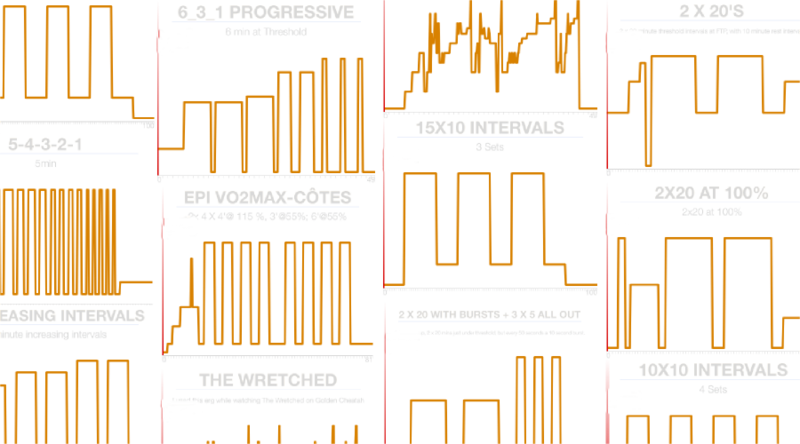 Hurts Ergo is able to draw on ErgDB workouts through its API providing access to over 600 workouts. 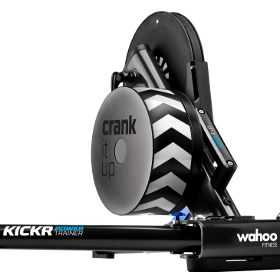 The KICKR has an Erg mode, in this mode a target power output is set and the KICKR maintains this irrespective of rider speed and cadence. It makes for one solid workout, provided you can finish what you start. It's this mode that Hurts Ergo relies on, the Erg mode target power is varied based on the workout you've selected. The increased screen real estate of the iPad really helps when navigating some of the more complex workouts. Skip over the hard err, boring parts. With the whole workout mapped out in front of you it's easy to see where the fun starts. Skip to/over/back the parts of the workout you want to focus on by tapping the workout chart. Through an optional In App Purchases (IAP) you can choose to save and/or share the workout data recorded by Hurts Ergo. The power data is recorded as reported by a connected KICKR trainer, this data is then saved to a Flexible and Interoperable Data Transfer (FIT) based file as used by Garmin devices. This format is widely supported across a number of fitness platforms. 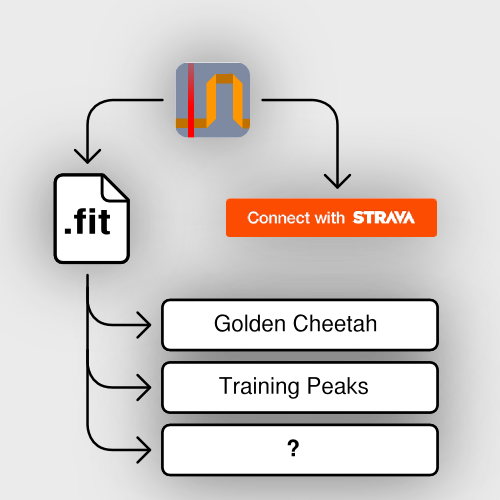 Should you wish, the workout can be directly uploaded to Strava. You'll be prompted to login to your account on the first upload, but after that Hurts Ergo maintains an authentication token to upload data on your behalf (no login credential are entered into, or stored by Hurts Ergo). Can I create my own workouts? Short answer, Yes. All workouts used within Hurts Ergo are defined using erg files. I couldn't track down a specification for the file format, but in reality the format is simple enough that anyone should be able to pull one together. How can I use my own workouts? So you've created a workout, or have a library of existing workouts you wish to use in Hurts Ergo; there's two options here. The first and easiest is to upload the workout to ErgDB, it'll then be accessible along with other ErgDB workouts. The second option is to use iTunes file sharing. Hurts Ergo creates two folders on your iOS device; Favourite workouts, and Saved workouts. By copying your erg files into the Favourite workouts folder you'll be able to access them from the Favourite workout category within Hurts Ergo. The following example will set the workout to 70% of the users FTP for the first 5 minutes, then ramping up to a full 10 minutes at FTP, before dropping down to 60% FTP for the final 5 minutes. Note: ergfiles are defined using absolute values, not percentages as described in this example. 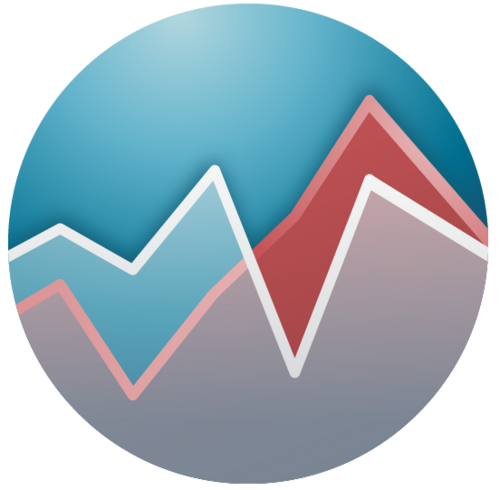 Hurts Ergo scales the values defined in any workout by the ratio between FTP you've specified in the user interface and that specified in the erg file itself. How do I connect my KICKR? Ensure your KICKR is not connected to another device. 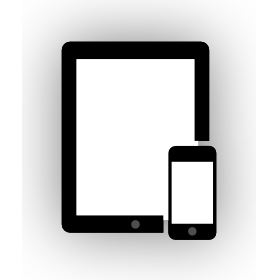 The KICKR will only connect to a single device using BTLE, a KICKR will not be detected when scanning if it is connected to another device (iPhone, iPad, laptop, etc). Other Apps connecting to the KICKR may prevent the scan from initialising. If you receive a "Failed to initiate device discovery..." message from Hurts Ergo it's likely another App on your phone is already connected to the KICKR. Disconnect or close the other app and restart the scan. Make sure your KICKR is turned on. I've done this at least once myself. Still having troubles? Get in contact via support. Unfortunately the ANT+ dongle is not supported at this time, hence the requirement that your iOS device supports BTLE. Support may be implemented if this turns out to be an issue for many users, so please get in contact if you'd like to see this happen. Hurts Ergo came about as I wanted something simple to run the Wahoo Fitness KICKR through its paces using nothing more than an iPhone/iPad. There's several applications out there that offer a host of tailored training plans and analytics well above that provided by Hurts Ergo, this is unlikely to ever change. That said, if there's something simple you believe would be a great addition I'd love to hear about it. The KICKR itself is a great device, and I think it's full potential is yet to be realised. There's a few ideas kicking round; less training focused, more fun. Be sure to checkout what the guys over at Globacore have done. Hurts Ergo ("us", "we", or "our") operates www.hurtsdevelopment.com (the "Site") and the Hurts Ergo iOS app. This page informs you of our policies regarding the collection, use and disclosure of Personal Information we receive from users of the Site and the App. Hurts Ergo has no control over, and assumes no responsibility for, the content, privacy policies, or practices of any third party sites or services.